This room has 51 stackable chairs, 9 moveable tables, an overhead projector with a drop-down screen, 3 microphones, a podium, and wifi is accessible. Room contains a conference table, 13 chairs, and access to wifi. The room contains 60 stackable chairs, 17 tables, 2 TVs (one is wall-mounted), a projector and pull-down screen, 4 microphones, a dry erase board, a podium, a DVD player, a cassette/CD player, and wifi. There is one conference table and 8 chairs as well as a dry erase board and access to wifi. 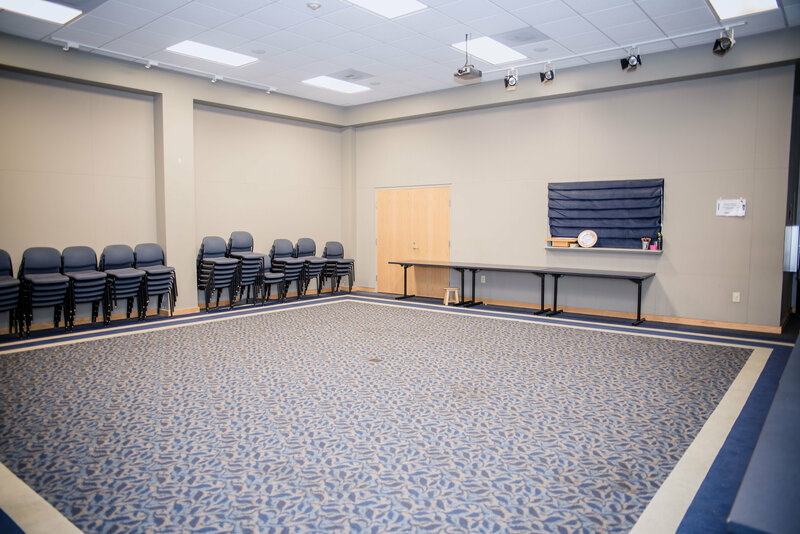 There are 80 stackable chairs and 19 movable tables in the auditorium as well as a projector and ceiling-mounted screen, a podium, and a CD player. The room has wifi also. Large room set up with a stage area and seat arranged in theater style. The tables and chairs can be moved but must be returned to their original layout when the program is over. There is a ceiling-mounted projector and screen and microphones for use. There are five large tables, approximately 5x3, and 20 smaller tables, approximately 5x2. The room also has a podium, a DVD player, and wifi is accessible. 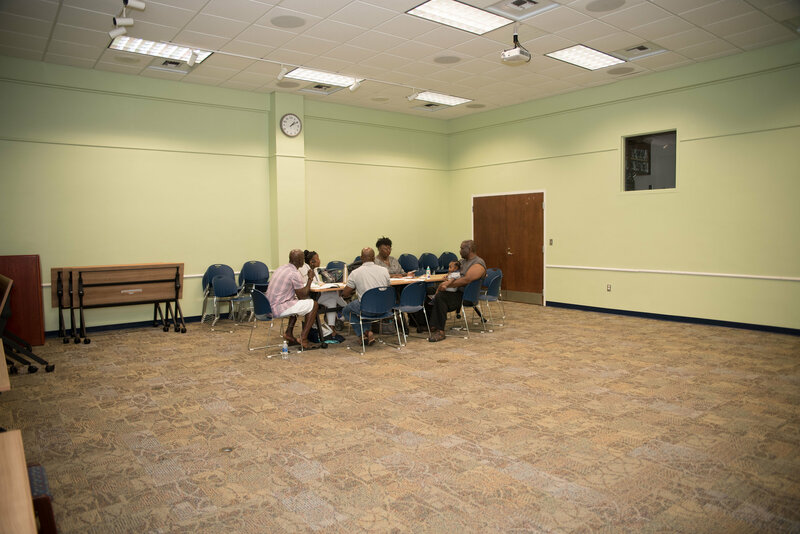 The primary requirement for the use of the room is the group reserving it should be a nonprofit and open to the public with no charge. The person booking the room needs to be a Charleston County resident/taxpayer/library card holder. 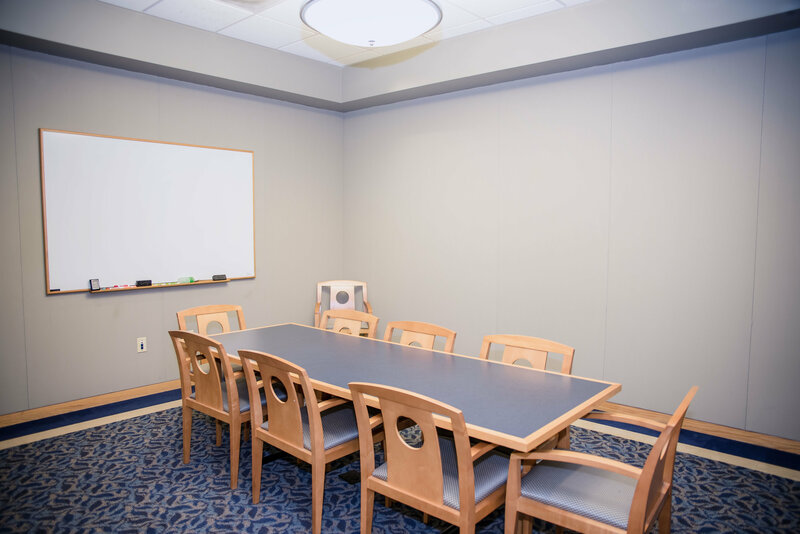 Meeting room with a large conference table, drop-down screen, and a projector available upon request (we only have one mobile projector that A and B share). Wifi is available. Meeting room with a large conference table, a drop-down screen, projector available upon request (we only have one mobile projector that A and B share). There is a large buffet table along one wall. Wifi is available. The auditorium contains 80 stackable chairs, 12 tables, a podium, a projector with laptop connectivity, a pull-down screen, a pair of microphones and a Blu-ray player. The room can also access wifi. The auditorium contains 55 stackable chairs, 14 movable tables, a tv, a projector and screen, two microphones, and a podium. Wifi is also available. The conference room has a large table with 8 chairs around it and another 7 chairs that can be added to the room. Wifi is also available. Test room. This space does not exist and cannot be booked. Test room only. This space does not exist.